1. Contrary to the stereotype that skin lightening is purely cosmetic,dermatologists actually prescribe skin bleaching meds to their patients for skin disease. Generally speaking, most people feel more confident with clear, even skin. For many, the battle with skin disease can be a real hurdle that must be overcome to achieve this goal. That’s why dermatologists prescribe skin lightening medications to treat various common cuteanous diseases that lead to unevenness or discoloration. “One of the most frequent reasons patients are prescribed skin bleaching medicines is to treat post inflammatory pigmentations that can happen to anyone,” Dr. Kassim explained. Post inflammatory pigmentation dark spots that appear because of injury to the skin or inflammation like acne can be faded by applying the medicine to affected areas.Melasma, the appearance of discolored patches on the face, typically triggered by hormonal changes during pregnancy and by sun exposure, also responds well to skin bleaching. In many other cases, skin lightening may even help to reduce the visibility of age spots, moles, birthmarks and scars. 2. There is actually no bleach involved in skin lightening. 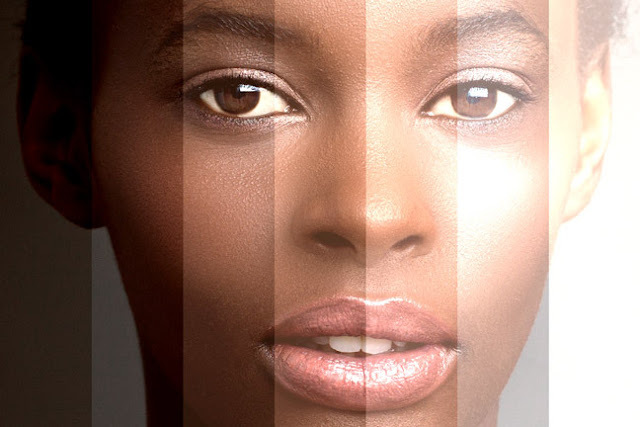 Skin bleaching medicines work by reducing a pigment called melanin. By applying the medication to hyper-pigmented areas parts of the body or face that are visibly darker than others melanin production is disrupted allowing the skin to lighten and become more uniform. Sometimes, skin lightening products can include exfoliants that induce mild peeling. Since skin tends to regenerate quickly and easily, the peeling helps to clear away dead cells and resurface fresher and lighter layers beneath. 3. But skin lightening can have harmful side effects. For the treatment of common skin diseases, dermatologists typically recommend the short term use of Hydroquinone an over the counter or prescription cream with a max dose of 2% that is FDA approved, but still happens to be a bit controversial. Usually, serious allergic reaction to the Hydroquinone is rare, though users may sometimes experience mild redness, dryness or itching of the affected area. However, according to Dr. Kassim, “there is evidence to suggest that certain skin-whitening medicines, like hydroquinone, contain ingredients which may have carcinogenic properties that can be harmful.” In other words, the drug may increase risks of cancer. For that reason, though available over the counter in low doses in the United States, Hydroquinone can only be obtained by prescription from a doctor in many countries. It was even banned for a while in Europe but is now once again attainable by prescription only. 4. There are huge consequences to abusing skin lightening meds. We have all likely seen celebrity skin bleaching jobs gone wrong and what overly bleached skin can look like: unnaturally white with a grayish, very dull tint. However, the corpse-like skin is not even the worse of it. When Hydroquinone is used in doses higher than 2% or over a period longer than three months, the whole skin lightening business can have some pretty negative, even paradoxical results. “With higher concentrations of the medicine, there have been reports of the development of exogenous ochronosis, the darkening of the skin which is permanent and very resistant to any treatment,” Dr. Kassim explained. Though there is a possibility that this skin reaction can develop with lower doses, the risks are increased when the dose is higher. Overuse of skin whiteners can also cause pigmentation to build up in your extremities (fingers, toes, ears etc), causing them to look darker and mismatched. Yet another negative reaction can develop known as the “bleach panda effect”, where the skin on the face becomes thinned around the eyes and have increased pigmentation. Cute on a panda, not so much on a human. 5. Natural skin lightening options exist as well. For those wary of harmful chemicals, explore natural remedies to lighten skin. “There are many naturally occurring agents that can be found in nature that have lightening properties,” Dr. Kassim explained. Chemical-free and easy-to-find alternatives to over the counter or prescription skin lightening products include Vitamin C, topical creams with Azelaic acid (a component of grains like wheat and barley)and the Chinese herb Cinnamomum Subavenium. There is also some research to suggest that pomegranate extract and vitamin E oral supplements may also inhibit melanin production. For less extreme cases of skin tone unevenness, a simple peel or daily exfoliant may do the trick. If money is not a problem, look for toxin-free skin lightening products currently available on the market: They tend to cost a bit more because they have expensive ingredients, but they may be less abrasive and harmful. Indoor tanning (finally) on the decline. IS BOTOX RIGHT FOR YOU? FAQ’S FROM THE AMERICAN ACADEMY OF DERMATOLOGY…. Is Botox, Xeomin or Dysport the right choice for you? Botulinum toxin therapy is one of the most popular cosmetic treatments available. To help you decide whether this treatment is right for you and to have the treatment performed safely, the AAD provides the following facts. What happens during this procedure? A dermatologist injects very small amounts of purified botulinum toxin. When treating fine lines and wrinkles, the dermatologist injects botulinum toxin into targeted muscles on the face or neck. This temporarily relaxes the targeted muscles, causing fine lines and wrinkles to diminish. The effect lasts about 3 to 4 months and sometimes longer. When treating excessive sweating, a dermatologist injects directly into the skin on the underarm. A single treatment can provide up to 6 months of relief from excessive sweating. Will I lack facial expressions after treatment? Dermatologists want their patients to look natural. To do this, they inject just enough to weaken and relax the targeted muscles without affecting other muscles. This allows patients to maintain their natural facial expressions. Will I lose my sense of feeling where I have the injections? No. This treatment does not affect your ability to feel. When is it safe to have another treatment? You can have another treatment when the excessive sweating or lines and wrinkles return. With repeat treatment for lines and wrinkles, the muscle may thin, leading to longer-lasting results. Is there downtime? Most people return to the everyday activities immediately. As soon as you leave the treatment room, you can apply makeup. What must I do after the procedure? To prevent the injected substance from spreading to areas where you do not want it, you’ll need to take a few precautions: Do not rub or massage the areas where you received the injections. If you apply makeup, take care not to press or rub it in. Wait two hours before you engage in strenuous physical activity. This includes lifting heavy items, working out, and any other physical activity that raises your heart rate. What are the possible side effects? If a patient develops side effects, these tend to be mild and temporary. The injections, rather than the botulinum toxin itself, cause most mild side effects. For example, a patient may occasionally bruise. If this happens, the bruising lasts about 1 week. After receiving injections, people have experienced: Swelling. Redness. Soreness. Bruising. Mild headache (uncommon). Weakness in a neighboring muscle, leading to a temporarily droopy brow or eyelid (very rare). Warning. This product requires a medical license to purchase. If you do not need to show proof of a medical license, the product differs greatly from what a dermatologist uses. Getting botulinum toxin injections in a non-medical setting also can be extremely dangerous. To protect your health, you should never get injections at a: Non-medical spa. Party. Salon. Someone’s home. What is the safety record for this procedure? More than 20 years ago, a dermatologist and his wife, an ophthalmologist, began using botulinum toxin therapy to treat signs of aging. Today, medical professionals inject millions of patients each year. When used by a dermatologist to treat signs of aging or excessive sweating, no serious side effects like problems breathing or swallowing have ever been reported. Dermatologists continue to make patient safety their No. 1 priority. Each year, the AAD offers continuing medical education sessions that include best practices for treating patients with this treatment. Dermatologists continue to make new research breakthroughs in the use of botulinum toxin therapy. THE DERMATOLOGY GROUP has treated thousands of patients with Botox, Xeomin or Dysport. Make an appointment to find out what your options are!